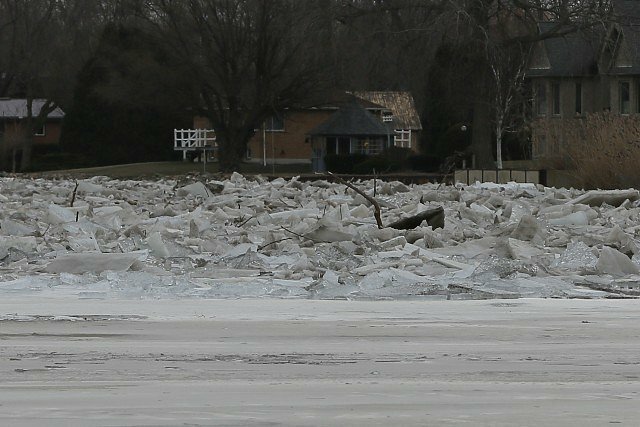 The ice jam that formed Thursday night at Lighthouse Cove remained in place Saturday. Water levels are now falling in the area of the ice jam and municipal staff and contractors have managed to maintain the flood protection works except in a couple of areas and the amount of flooding has been limited. Minor leaks are still being reported in places, and although the risks have greatly lessened with the falling water levels, there remain some risks associated with the ice jam. As water levels drop and the jam settles into the lower water levels, the jam could shift and create surges or severe jamming. Residents of Lighthouse Cove and other downstream communities should remain prepared.